Greetings, my name is James Sumarac and I warmly welcome you to our long distance learning programs. My motivation to share this program came from many requests from people who are physically too far away to train in my regular classes and wish to study a traditional and complete codified system that can take you from beginner to Instructor level and beyond. My other motivation is to share the benefits I have received from the Martial Arts, the broad and varied values of humility, respect, honour and sense of duty alongside the wonderful technical aspects and appropriate mind set to allow you to develop all dimensions of your being. 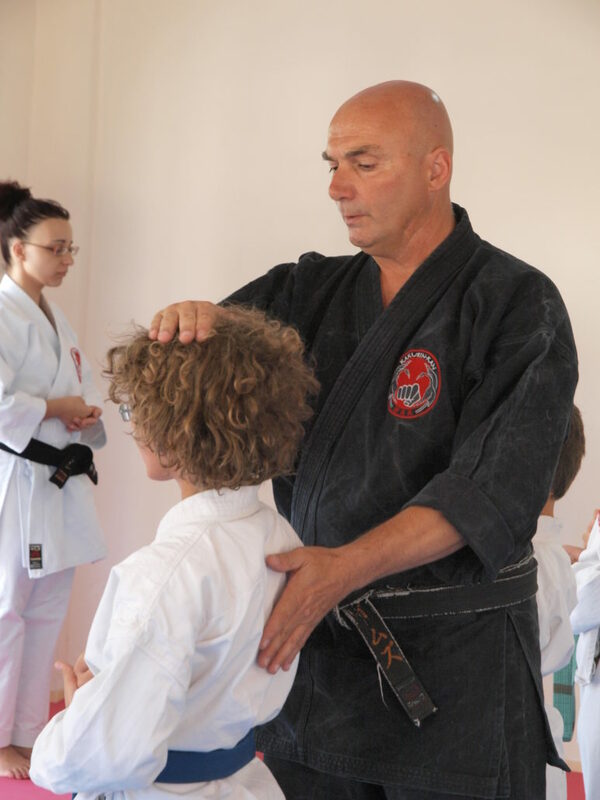 Lessons outlined in our program are an accumulation of my 45 years training, researching and teaching Martial Arts, the past 35 of which have been in a professional capacity. During this time I have taught thousands of people in Australia, and abroad. My goal with these lessons is to maximize your potential and empower you to contribute in a positive way to assist yourself, your family, friends and communities. Scattered amongst your lessons will be many never seen before film footages and rare photographs from my personal archive. For example, variations on the lessons you are studying and many images of historical significance. You will receive these valuable pieces of extra content from time to time, appropriate to what you are studying at no extra cost to you. As you learn and embody this material through regular training, you will be tested at quarterly intervals (if you have existing experience this may happen sooner). You may film yourself performing the lessons outlined and upload the file on a private YouTube or video channel and send me the link. I will critique your performance and send you corrections. When your performance is satisfactory, you will receive an official grading certificate, personally stamped and signed by me. Receiving these lessons is just like being a regular student in my school however, in many of the lessons you are treated as a private student without the higher fee. You can study at your own pace; there is no pressure and no race as Martial Arts is a lifetime study. I only expect you to train hard and regularly. Yes, you must be regular. I will only accept conscientious students. You must commit to training one hour, 3 or 4 times a week, in order to fulfill both our expectations. If for some reason you need a break (temporary or otherwise) please contact me for alternative arrangements. Who Can Benefit From Our Lessons? If you already have existing experience or even run your own school, I am offering to take your Martial Arts to another level with advanced power generating methods and a teaching syllabus that includes ancient Martial Arts and Healing practices that I have studied and trained in most of my life. If you wish to support your style of teaching, this is not a problem, however if you wish to teach purely the material on offer, I can help you to make a smooth and stress free transition. In some circumstances, I am prepared to allow experienced students to choose which particular modules they would like to study. If this is something you are interested in, please contact me and we can discuss a program that would suit your needs. Interestingly, in the past a Martial Artist was also a Healer. If you wish to include the additional study of Kuatsu Oriental Martial Arts First Aid that treats specific Martial Arts related injuries and issues, this can be arranged for advanced practitioners. 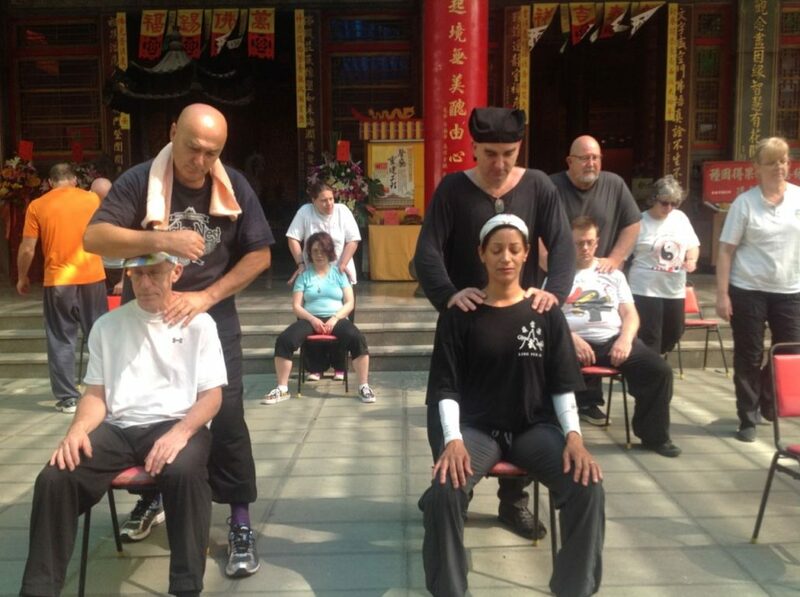 I have been fortunate to study these rare methods of Traditional Chinese Medicine for 40 years and continue to travel to Taiwan, China and Japan rediscovering authentic methods of dealing with difficult injuries and acute situations. 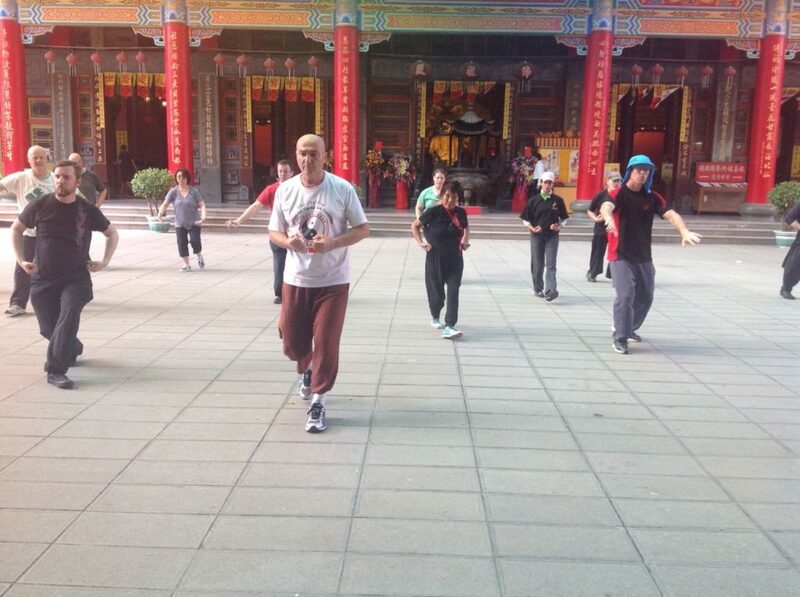 This is a truly unique opportunity to study an authentic lineage of Martial Arts. I will guide and mentor you to not just an advanced level but a high quality Master level. I am available via email, telephone and Skype sessions by mutual arrangement. Invest in your child’s future with specific lessons for 5-10 year olds under professional and caring instruction. These fun and exciting lessons will enhance self confidence, fitness, flexibility, coordination and self protection. For these younger students parent/guardian assistance may be required. A great opportunity for parents and children to bond and participate in an activity that will shape their lives. How can we get together in the future? Option 1: In this global village we live in, communication over long distances is easier than ever before. I am available via email, telephone and Skype sessions by mutual arrangement. Option 2: I live in Australia but it’s a big swim from other continents! My home is at WU LIN RETREAT in Lancefield, Victoria Australia. It is a unique, purpose built Martial and Healing Arts Retreat in the Macedon Ranges. Members can visit or stay for short or long intervals to study specific items by prior arrangement. There are economical rooms for overseas and interstate members to stay in comfort and enjoy the ambience of living and training in the forest. Option 3: Workshops can be arranged in your town/city. I can come to you to instruct your students/friends and organize separate one on one lessons for yourself. How long do the lesson instalments last? The lessons are designed for about a three month study period at the end of which you will be assessed by your video performance. Can I apply sooner than three months to receive my next instalment? Yes, once your video performance has been viewed and you have received a favourable result you may apply as soon as you wish. What do I receive in my next instalment? You will receive a new body of information to train with for a period of approximately three months. Within that period you can apply for a free Skype session (30 minutes) to ask any questions about the material or discuss any difficulty you may be experiencing. More or Less is Ok! The quantity of material you will receive will be personally tailored to your needs and abilities. If you are finding the content easy and progressing quickly, the intensity can be bumped up and additional material can be included in your next module. If you are struggling to keep up with the pace of the material, then the next module can be reduced to give you time to catch up. If there is any part of the material that you need clarification on, I will send you an additional tutorial that addresses your concerns in depth and in detail. Please feel free to ask as many questions as you like over email or otherwise. I am always happy to help in any way I can. per module (approximately three months). At the completion of each module you will be sent the next instalment that builds on your previous progress. The program is now live! Please note only a limited number of participants can be accepted. Please fill out and submit an Application Form to begin. It is essential that you first submit this application and receive confirmation of your acceptance into the program before making any purchases. If you have not been accepted into the program, you will not receive any content or material related to it. Place cursor on line and type relevant text. Taiwanese White Crane is now also available! Please be aware that these curriculums are extensive and cover everything you can expect to study across your entire journey and more! Not everything will available all at once so please be patient in your learning. It is often important to practice good foundations before learning new things. To view the store, click here! Please make sure you have been accepted into the program before visiting the store.